It's usually a good idea to get your wrestling team scales certified annually. We always recommend contacting a scale company (such as Central Carolina Scale) and allow an experienced certified scale technician to check your scale especially if you find that the scale needs to be recalibrated. The following information is a basic guideline for checking your wrestling scale. You should generally check your scale every quarter and should always be repeated whenever the scales are moved or there is reason to believe that the scales are inaccurate. 1. 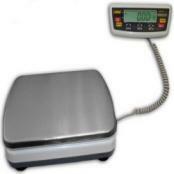 It's a good idea to use actual test weight of at least half the capacity of the scale. (Ex: 600 lb capacity scale, test with 300 lbs). If you don't have real test weights, you can use other things that have a known weight, just keep in mind the odds are those "known weight" items are probably going to be "close" and not as accurate as our certified test weights. 2. Before you place anything on the scale, power it up and make sure the scale is showing 0.00 lb with nothing on the platform. 5. 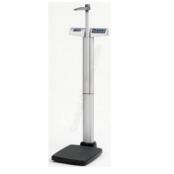 Place the test weight mentioned in step 1 on the scale platform. Is the weight correct? Now, take the weight off the platform and then place it back on the platform again. Was the weight correct? Was the weight consistent and stable each time it was placed on the scale or was it flickering or bouncing around? Is the scale stable and showing 0.00 lb when nothing is placed on the platform? 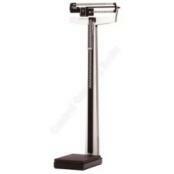 If the weights were inaccurate, or inconsistent then you need to have the scale checked and calibrated.